Superb sketch. I getting some great views of the southern skies via your beautifully drawn sketches of the heavens there. Thanke for posting and sharing. What a magnificent sketch! All that beauty and detail, can’t wait to see what you will produce from a dark site. Maybe one day I will have an opportunity to venture south and see these gems for myself. Alex, this is breathtaking and very inspiring!! 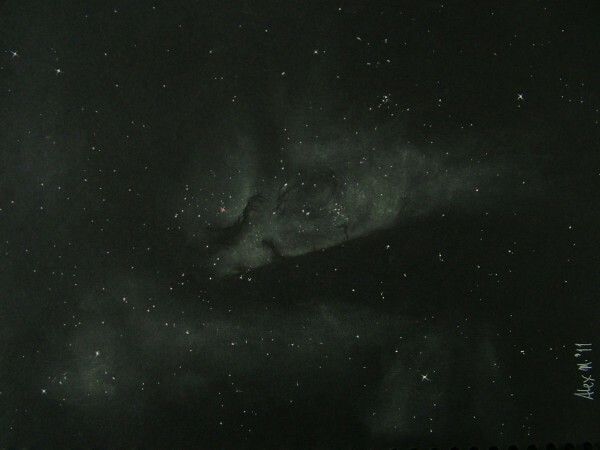 That’s the greatest sketch of Eta Carina Nebula I’ve ever seen.